Soumaila Cisse has said he would reject the results of the presidential runoff vote, calling on supporters "to rise up." Turnout for the election was poor as hundreds of polling stations were closed over insecurity. Malian opposition candidate Soumaila Cisse said Monday that he would reject the results of a presidential runoff against President Ibrahim Boubacar Keita, which has been marred with accusations of fraud. Ballot counting is under way in the western African country after Sunday's second round vote. The results are not expected until midweek at the earliest, but Keita is predicted to confirm a second term in office. Cisse, 68, has accused the government camp of electoral fraud, including vote buying and ballot-box stuffing. "We have a large lead. We do not accept that our voice is stolen," he said at his party's headquarters in the Malian capital, Bamako. "The fraud is proven, this is why there are results we will not accept." Cisse, the leader of the Union for the Republic and Democracy (URD) party, called upon his supporters "to rise up." "We will not accept that a president wins through fraud. And we will show that there is fraud," he said. "This fight is in your hands, dear supporters." Nearly 500 closing stations were forced to stay closed on Sunday, the government has said. They were mostly located in regions plagued by jihadi violence and ethnic tensions. 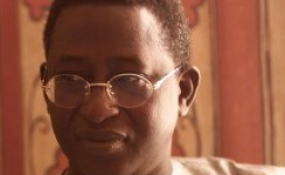 One election official was killed in northern Niafunke, a small town in the Timbuktu region. Security fears severely dampened voter turnout. The Mali Citizen Observation Pool (POCIM) estimated that turnout was at just 22.38 percent among the 8 million registered voters. But African Union election observers said the voting was carried out "in acceptable conditions" and there is "no tangible element" suggesting voting irregularities, in a preliminary report published on Monday. Mali is a high security concern among Western countries due to the presence of militant groups with links to al-Qaida and the "Islamic State". The vast nation is also a main transit route for migrants from sub-Saharan Africa trying to reach Europe. A successful election is seen as vital toward ensuring stability in the country as its government tries to quell Islamist threats and ethnic strife. The three main opposition candidates had mounted a last-ditch legal challenge to the first-round result, alleging ballot-box stuffing and other irregularities, but their petition was rejected by the Constitutional Court.